I recently wrote a preview for Le Cool London on the Grayson Perry Tapestry at the Victoria Miro Gallery in London. The previews I write are often before I’ve gotten to see it for myself, so I went to the Victoria Miro Gallery to check out the tapestry, and found that the Gallery itself stole the show. 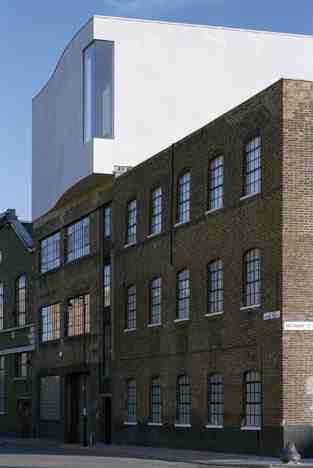 The Victoria Miro Gallery is a privatly-owned venue tucked away down a no-name road in between Angel and Old Street, between Islington and Hoxton. This free gallery is housed in a converted furniture factory, stretching over two floors in two neighbouring buildings with 10,000 square feet of space and includes a wooded outdoor patio between the two spaces. At the time I was there, the pond had invisible speakers spouting sounds of a choir and people relaxing on benches and enjoying an outdoor exhibit before stepping into the second space where the tapestry was located. After ringing the buzzer to get in the main non-descript entrance, we stepped into a large white space in front of us and a dark wooden staircase to the left leads upstairs to a second space. Back down the stairs, through a narrow hallway, out past the singing pond and through the second door you are confronted with a long white surreal staircase stretching up, up, up to the sky, similar to a dream you must have had once. Halfway up the staircase is a large open well-lit white space, head back out and back up the remaining steps to the sky leads to the top floor space with views over Angel and Regents Canal. 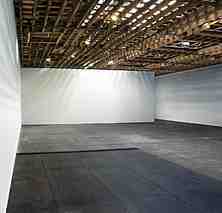 Not to mention an absolutely gorgeous space with wooden floors and tall strong walls to hold massive pieces of work. The exhibits were all top, though of course the Turner Prize winning Grayson Perry pieces here were the most viewed, with over 30 people at a time swarming round the tapestry and his prize-winning vases. 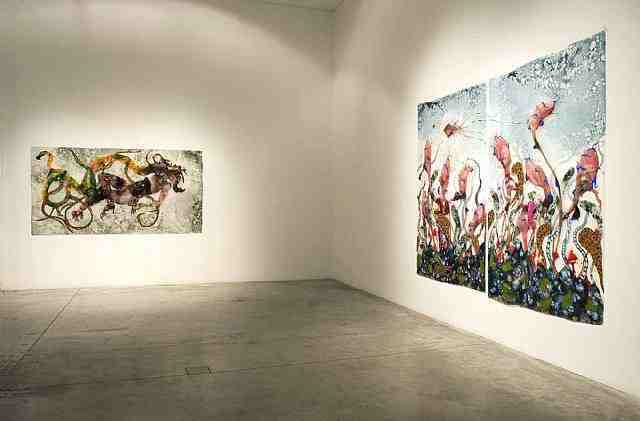 Currently showing at the Victoria Miro Gallery is Phil Collins: soy mi madre through 18 December 2009.